The immune responses to morbilliviruses generated in the respective hosts are contributed by the hosts’ innate immune system as well as the adaptive immune system. 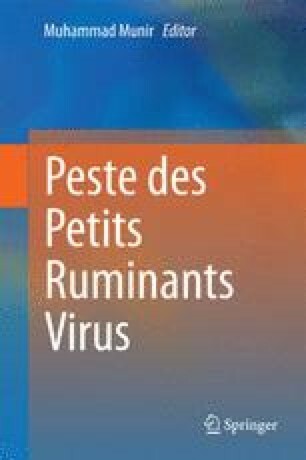 While the innate immune responses against peste des petits ruminants’ virus (PPRV) have not been investigated till date to any extent, a limited number of reports exist providing information on the adaptive immune responses elicited to either PPRV infection or to vaccination. For other members of this genus, specifically measles virus, cellular and molecular level investigations have thrown light on the functioning of the molecules of the innate immune system as well as details of humoral and cellular immune mechanisms. This chapter highlights the limited knowledge on the humoral and cell-mediated immune responses in sheep/goats upon infection by PPRV or vaccination. A small section is devoted to provide information on what is known about immune suppressive effects of morbillivirus infections in general and PPRV infection wherever known.